​Cesc Fabregas says that he will probably stay at Chelsea until next summer, despite growing frustrated on the fringes at Stamford Bridge. 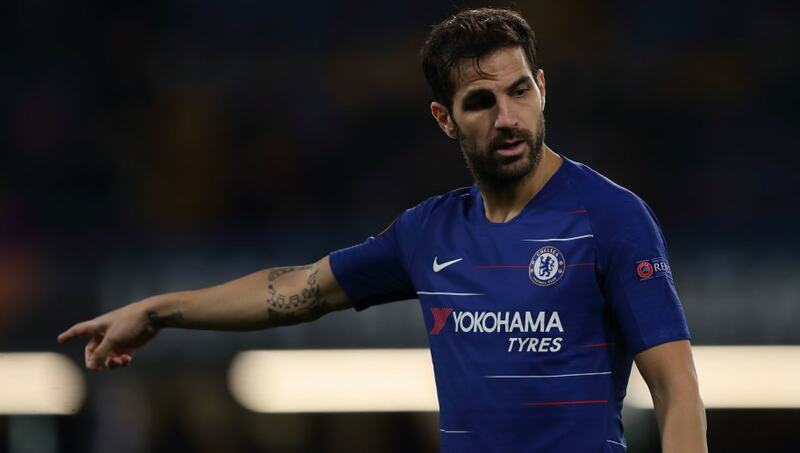 Fabregas is yet to start in the Premier League under Maurizio Sarri, making just three substitute appearances this season, and he will be free to discuss a summer move from January onwards as his contract expires in June 2019. He starred against PAOK Salonika in the Europa League on Thursday, providing assists for ​​Chelsea's second and third goals in a 4-0 rout. After the match, ​Fabregas played down rumours of a January exit. "I haven't spoken to anyone," he said, quoted by ​ESPN. "Obviously in January I can sign [a pre-contract agreement] with whoever I want, and probably this will attract many clubs. "But so far, from what I can say right now, I will stay here until the end of the season. "I would rather be on the other side of the team [playing in the Premier League], but I play at Stamford Bridge. I'm happy. That's the most important thing. Of course every player wants to play more." Fabregas played in the centre of a three-man midfield against PAOK. It is an unfamiliar role and the Spaniard believes he would be better deployed elsewhere. "I know that he [Sarri] rates me highly, but at the same time it's a new position for me and I think it is just my fifth game starting in it," he added. "I can give more in other positions. Maybe at the moment, he still doesn't see it. We have had a chat about it and maybe in the future it will start to happen. But at the moment it is what it is and you just have to take it." ​AC Milan have been linked with a January move for Fabregas as a solution to their injury problems.